End of my RGB-Scart cable adventure.. Under tap2cd topic, (http://forum.defence-force.org/viewtopi ... 8947#p8947) you might followed my story. To summarize, I had problems with transferring files from pc to oric via tap2cd. Other than this, I couldn't get colour display on tv as my tv does not accept oric rgb data correctly. 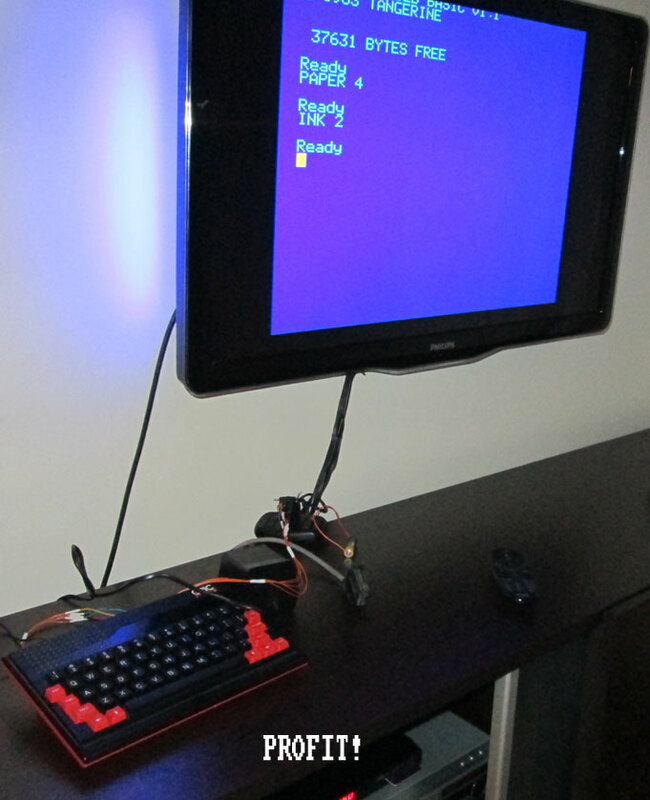 Along with suggestions from friends here in tap2cd topic and some other friends from here in Turkey, we manage to build suitable scart unit to let my tv display oric screen in colour. 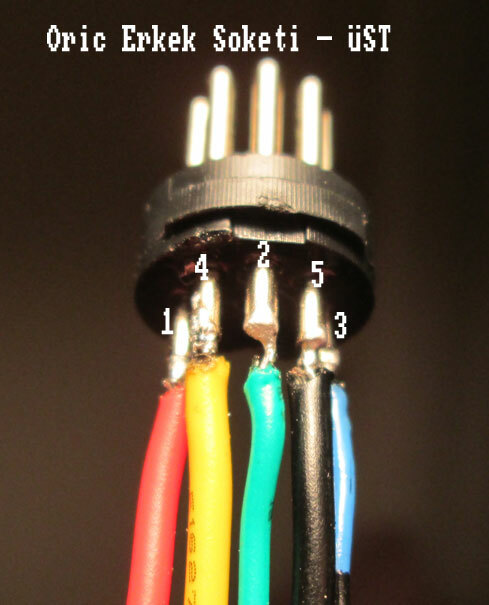 To summarize, what we did is to connect oric DIN5 pins to corresponding scart pins as described below. 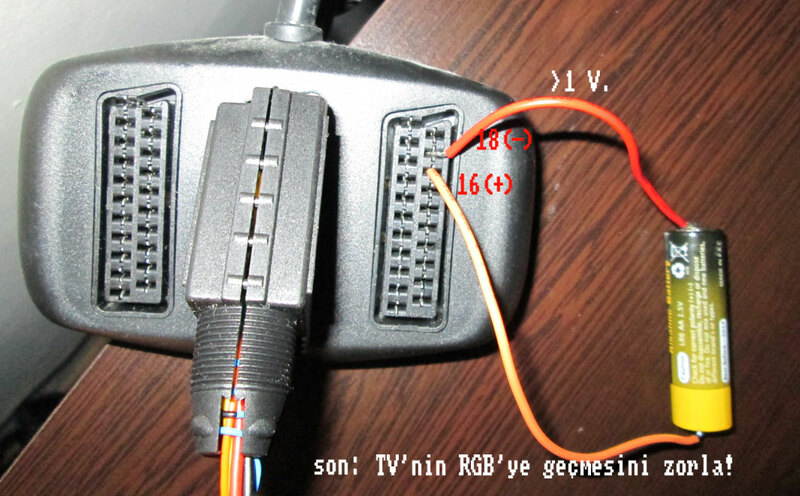 This is not enough if TV can not change to RGB automatically or with a proper setting. 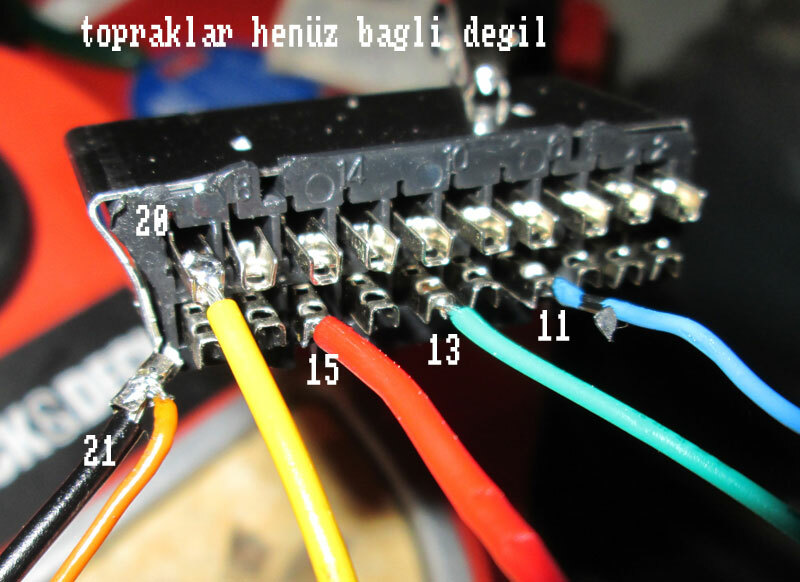 To let TV change to RGB display, we have to connect a battery between 16th and 18th pins of the scart. Without this, no picture at all is obtained. 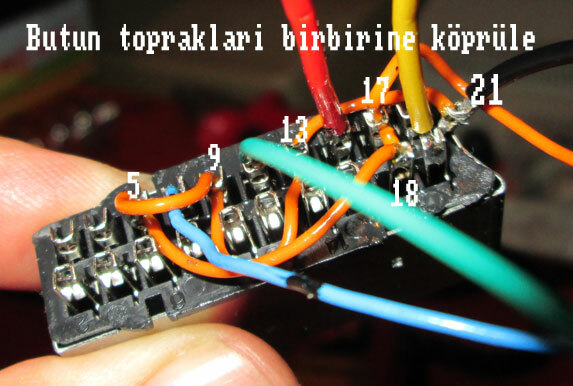 Here are some other tutorial-like pictures from another friend from Turkey about creating such cable. And this is the scart adapter that we modified. My father mounted a battery holder over scart adapter which gives 1.5 V potential between 16th and 18th pins of the scart. If no voltage is given, no display at all. The Input-output switch is now working as sending this voltage to the tv to set colour RGB display. 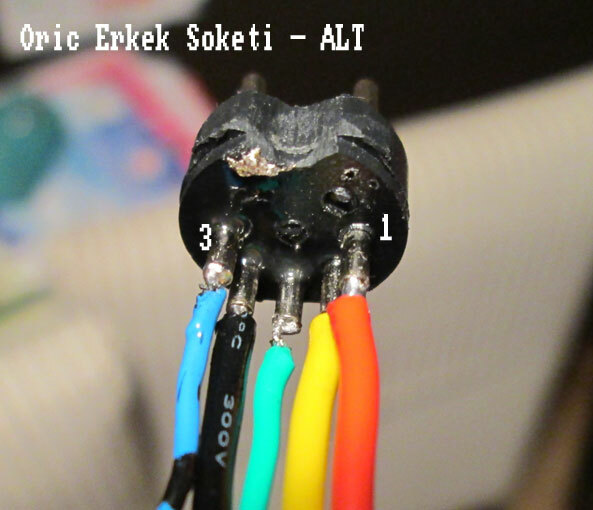 Re: End of my RGB-Scart cable adventure..
Ah do you know Turkish or do we have to thank to google translate? Nice! The image is top quality! Good job!